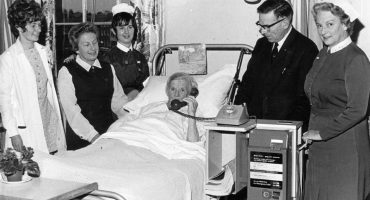 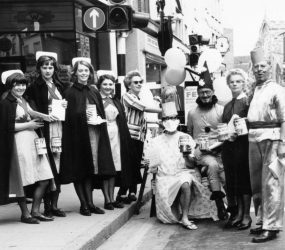 From collection boxes to staff dressing up, fundraising efforts have played a huge part in the life of Salisbury Infirmary and are featured in several photographs and objects in the collection pictured below. 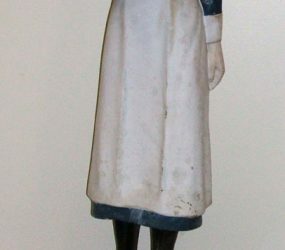 A model collection box inscribed ‘PATIENTS XMAS FUND’ depicts a nurse wearing a 1930s style uniform. 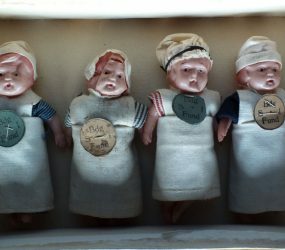 The collecting box used to stand in the entrance of Salisbury Infirmary and is made from wood, papier-mache and painted plaster. 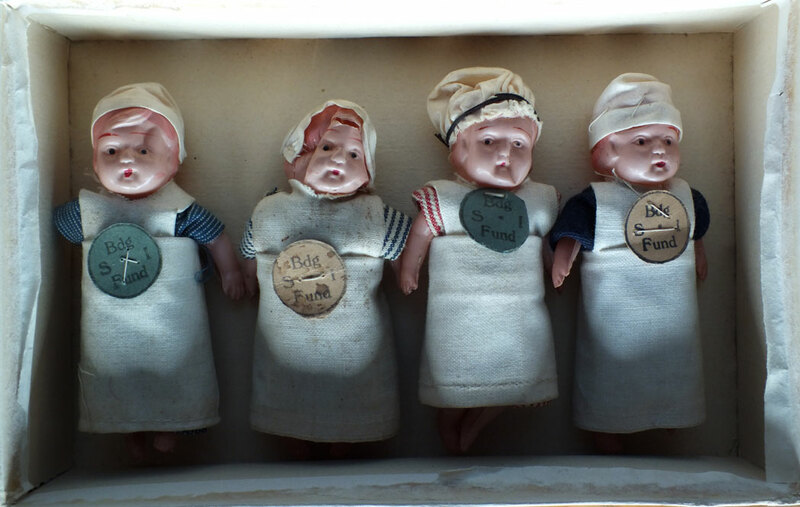 A collection of small dolls were used to fundraise for the Salisbury General Infirmary building fund, these were dressed in scrap materials from nursing uniforms. 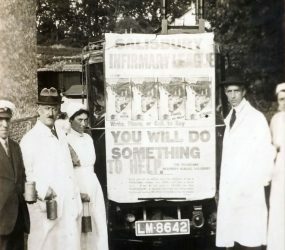 Perhaps the Infirmary’s answer to the Salisbury Giant! 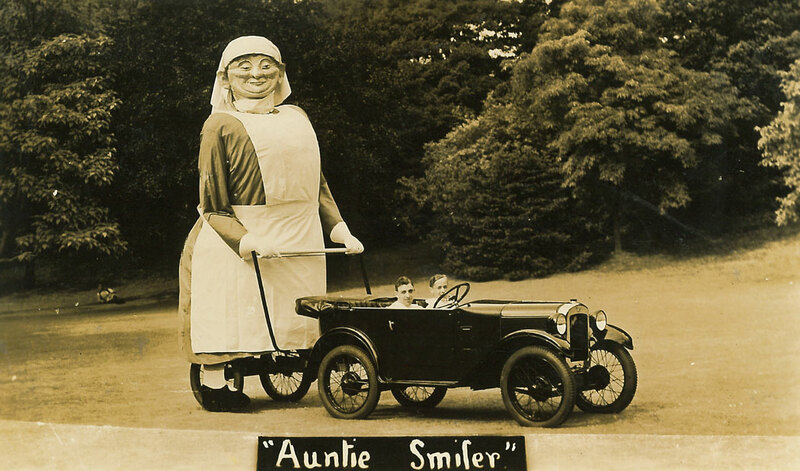 ‘Auntie Smiler’ was created for the 1930 carnival by hospital staff. 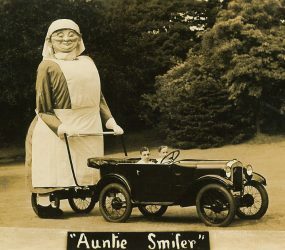 Mounted on the rear trailer of the car she looks like a nurse pushing a pram. 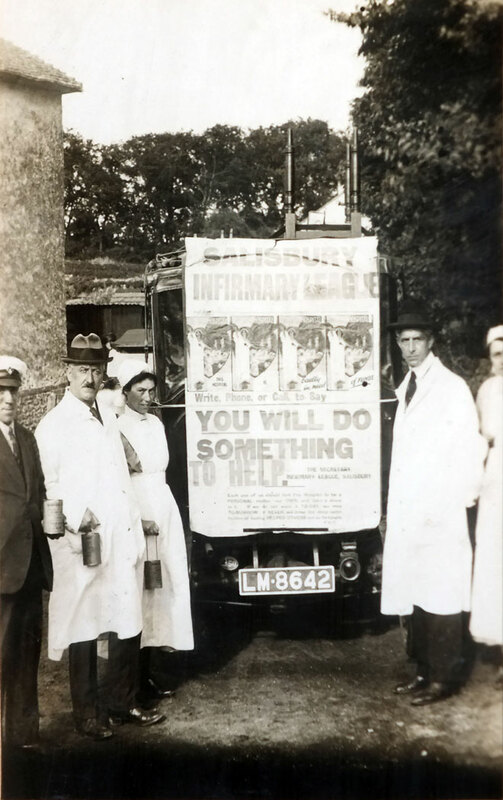 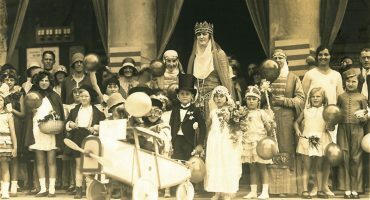 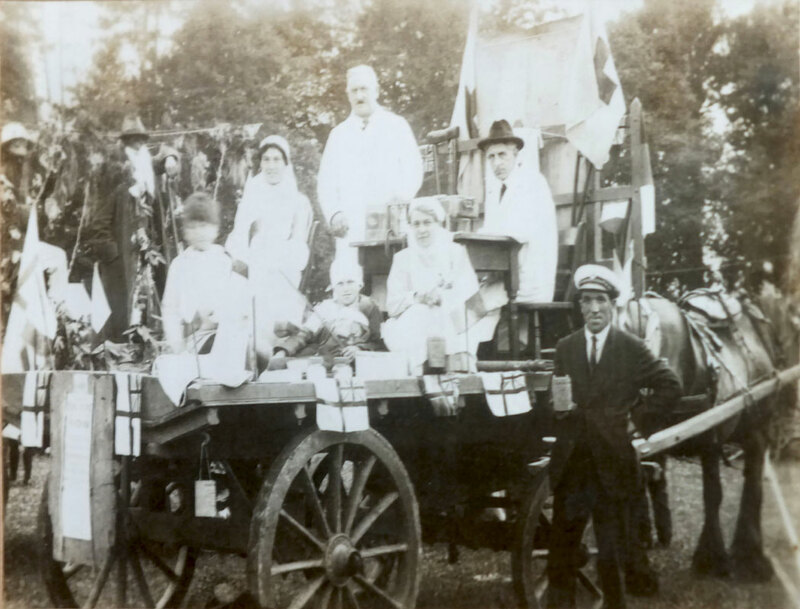 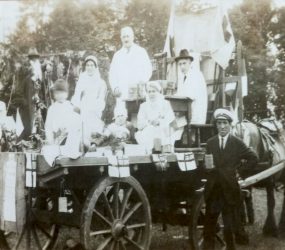 Staff got dressed up and decorated carts to raise money for the Infirmary during the Durrington Carnival on July 28th 1923. 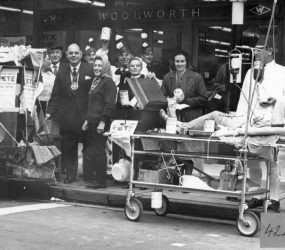 Photographs by John Blasiak dated 1967 show a promotion for the Hospital Fete at Victoria Park. 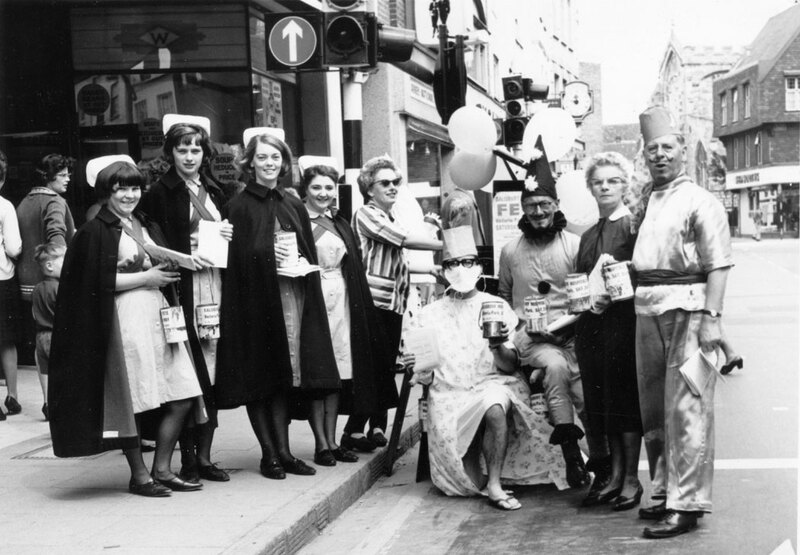 Staff are again dressed up, this time standing in the High Street, Salisbury outside Woolworth’s store. 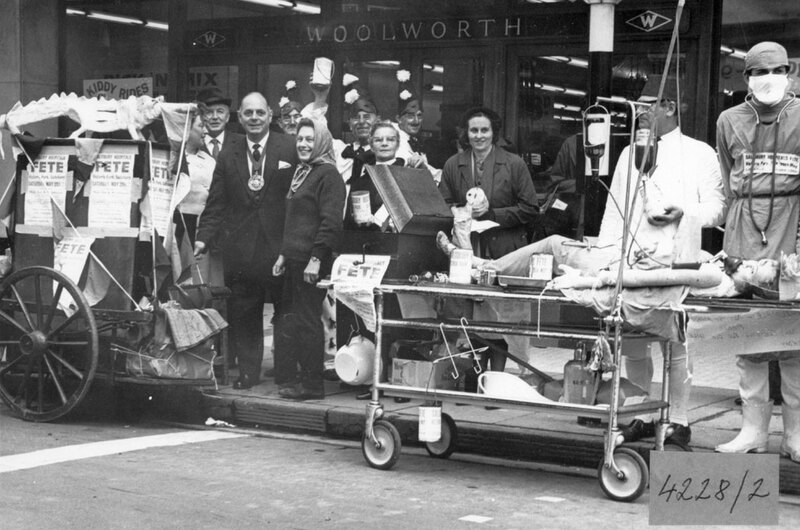 Mayor Councillor Biddle can be seen standing next to the barrel organ offering his support.